The classic ponytail is our go-to hairstyle for all hair types. Be it for a daytime or night time event, our humble pony will guarantee to get all eyes on you. Be fun, keep cool and add some glam. Here we have created a step by step method to have you styling your hair like a pro. Start with clean dry hair. Shampoo and condition with your fave products. 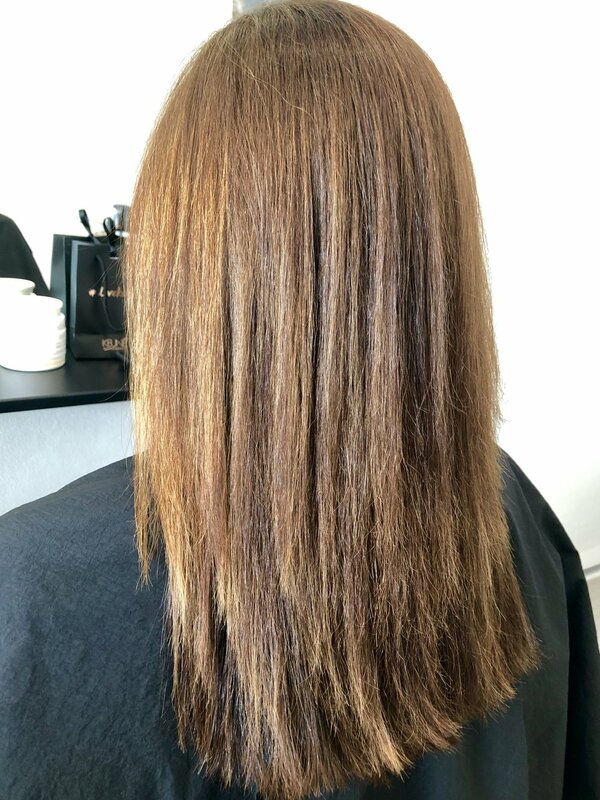 We have used Keune Care Line Keratin Smoothing shampoo and conditioner to strengthen & nourish the hair to make it smooth & frizz-free with a beautiful shine. Ideal for resistant & damaged hair, it features Keratin & Provitamin B5 to nourish & restore the hair’s moisture balance for added strength, shine & bounce, as well as Quat Complex to protect against breakage & flat iron styling. Curl your hair using your hair straightener or your curling tong. Whichever is easier for you to create a soft curl. Section your hair into large sections starting at your nape and working to the top. Remeber to use a heat styling product to protect your hair against the heat from your styling tools. We have used Keune Care Line Thermal Protection Spray with Wheat Protein, Quats and Provitamin B5: controls the moisture balance and improves the combability during thermal styling. Leaves the hair conditioned with shine, elasticity and has a flexible hold. Section your hair into 2 parts- top and bottom. These sections will create 2 ponytails. Your bottom pony creates the illusion of extra length and your top pony is the glam, creating movement and fullness. Take a piece of hair to wrap the top pony. Then starting with the bottom pony, backcomb or tease from the roots to around 5cm out at 45* angle. 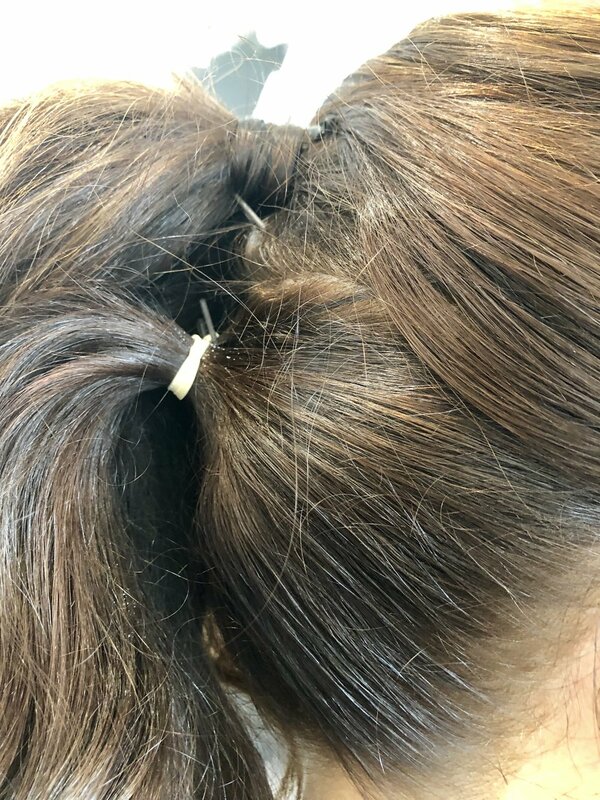 This technique will hold the volume in your party pony. Use some volume powder for texture and hold. We used Keune Volume Powder, this matte texturizing powder immediately gives you volume and strong root touch-ups with a spectacular backcomb effect. Place your top pony over the bottom one. Using your fingers and maybe a little more dust to fluff up both ponies together to create your extra long, voluminous party pony. And Voila!!!! Perfect Party Ponytail. Finish with some hairspray and shine spray to hold your look. We used Keune Brush Out Laquer and Keune Brilliant Shine Spray. Need new styling tools - How do you choose? Who would have thought there were so many choices when it comes to purchasing your straightening and styling tools. Ceramic| Ionic| Titanium| Tourmaline....?? With so many brands offering all the latest technology and all varying in price, how do you choose the right one for you?